Retail is one of the fastest industries to adopt the beacon technology to increase customer interaction and loyalty. Learn how you can adopt Bluetooth Beacon technology to increase your sales. How can implementing Bluetooth beacons improve customer loyalty? Beacons allow for messages to be delivered at the right place in a store. For example, in a huge store that sells several brands or products, specific discounts and coupons can be pushed out only when the customer is in the relevant area. This increases customer experience, maintains relationships and leads to more sales. How beacons can gather data on customer behavior? 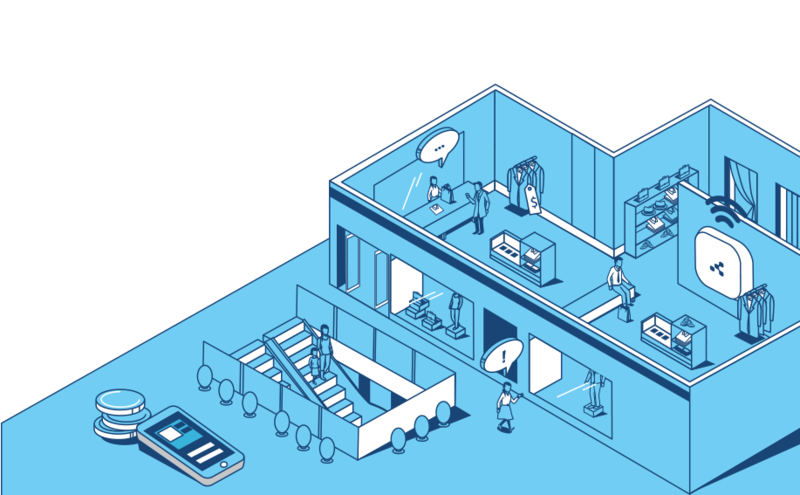 Beacons can be used a indoor trackers. Placing beacons all around the retail outlet allows for data to be collected on customer shopping behavior, leading to useful insights. Data can be collected on an individual level, leading to user specific messaging and discounts to be pushed. How beacons can drive customers to purchase? In a manpower lean economy, especially in Singapore, not every customer can be attended by a sales rep. Beacons allow for customers to roam around freely, and trigger information on technical specs, cost, available sizes and colors to be sent to the smartphones of shoppers in the area. If the information is exciting to the customer, a purchase is next to follow. How beacons make mobile payments easier? Beacons can be used creatively at brick and mortar businesses. Customers can walk around the store, add relevant items to their virtual shopping cart via the mobile app on their smartphones, proceed to the collection counter and click on the beacon driven notification to finalize payment.